NEWS: Order at KFC... with your face! Do you look like you could do with a three-piece orginal recipe meal? 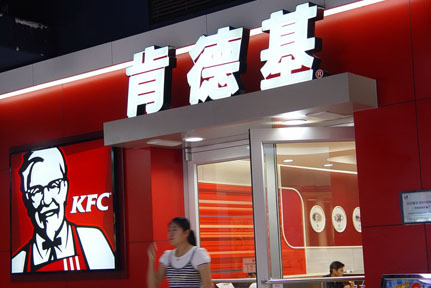 Well, according to the new artifical intelligence systems at one Beijing branch of KFC, you might. 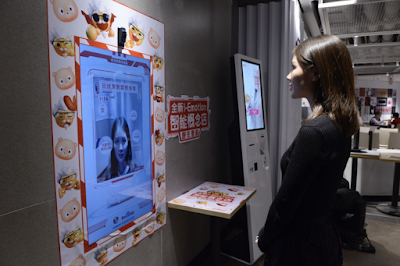 Using a facial scanner, the fast food restaurant will detect the age and gender of the customer, then make suggestions based on what it sees. For example, younger males might possibly order a chicken burger, while older women might go for a salad and wings. People can, fortunately, ignore the suggestions and order whatever they want. But... the AI system will remember your face, and bring up suggeestions based on what you've previoulsy ordered. It's like a store card, but right on your face. Congratulations, you're living in Minority Report.